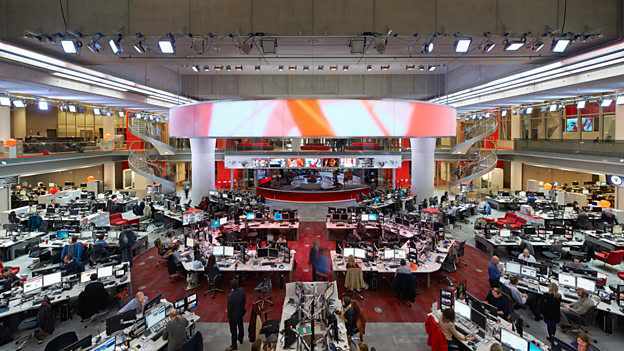 The BBC has reported a 7% increase in its global reach, with strong gains for the BBC World Service and BBC World News TV. With a record weekly global audience of 372 million, the BBC continues to work towards Director-General Tony Hall's 500 million target, which he wants to reach by 2022. The number of listeners accessing World Service English through internet audio has jumped by 147% to 21 million, following the roll-out of the BBC iPlayer Radio app around the world. The data, from the Global Audience Measure, also shows that BBC News has had an 8% increase in audience around the world during the past year, with a reach of 346 million. The latest data also confirms that Facebook has become the most important social media platform for the BBC to reach users. The BBC World Service has seen an increase of 9 per cent since last year, taking its total audience to 269 million. Global News Ltd, which comprises BBC World News television and BBC.com, now has an audience of 121 million, an increase of 12 per cent, with weekly BBC World News TV viewers rising to 99 million. World Service English has seen another significant rise, with an audience of 75 million around the world, a 14 per cent increase. This has been driven both by syndication and by the growth of digital audio, including internet audio and podcasts. The top ten markets for the BBC’s international news services are Nigeria (36m), USA (34m), India (28m), Bangladesh (16m), Egypt (15m), Pakistan (13m), Iran (13m), Tanzania (10m), Indonesia (7.6m), and Canada (7.5m). “In a turbulent year for international news, with mounting concern about fake news and social media filter bubbles, more people than ever before are turning to the BBC for reliable, impartial information they can trust."